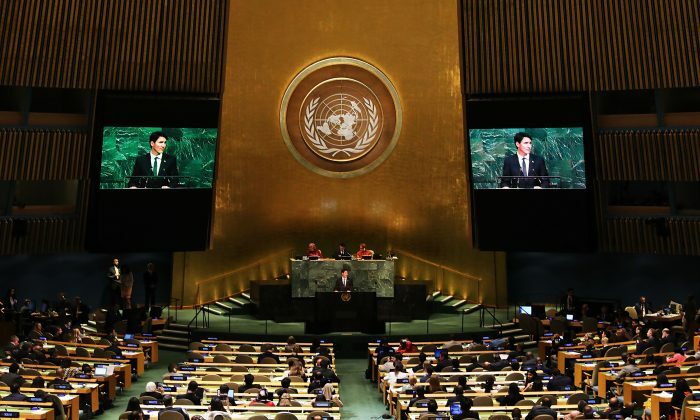 The United Nations is promoting an agenda that is being used to transform American life and property rights around the country. While the brave new world promised by the U.N. may be visible in two communities in Virginia, a hamlet in Alabama gives hope that Americans can fight back and win against the powerful interests pushing these changes in how we live. I described in my book, “U.N. Agenda 21: Environmental Piracy,” what life was like in the EcoVillage in Loudon County, Virginia, then at the forefront of the smart/green growth agenda. According to the Washington Post in 2011, the residents were “a typical middle-class mix of mostly white-collar workers.” The homes in this utopian paradise ranged from a foreclosed home of $359,000 all the way up to an $895,000 to $1.7 million price tag. The roads leading to this community were unpaved, the terrain was rough, and the typical green lawns were replaced by wilderness grasses, which residents preferred in order to reduce their carbon footprints. Gravel roads substituted for unpaved roads, as this reduced car traffic and harmful runoff into the Potomac River. Parking was delineated to lots around the commune, not in front of people’s homes. This green EcoVillage had been founded in 1996, way ahead of the mainstream global green-growth movement that now plagues every county in the nation. Residents of EcoVillage, in a commune fashion, had to abide by strict ecological standards for building, lighting, and landscaping. “Villagers” could only pick from six approved house plans built in clusters of one-third to three-quarter-acre lots for a total of 14 houses. Each lot sold then for $80,000. A rooftop solar system heated the house with a complicated system of pipes and switches, and an electric backup for sunless days. Some homes had geothermal underground pipes and windows were strategically placed to capture more sun. Protected space is one of the goals of U.N. Agenda 2030, which aims to make most land protected and unavailable to further development. The EcoVillagers admitted that costs weren’t effective; their choices were not about the money. They were well-off people trying to escape “the traffic and congestion of Vienna,” an upscale town with million-dollar homes. The life of the village consisted of potluck suppers and tree planting parties. Adults and children were required to perform monthly community service in the EcoVillage commune. I am unsure if this EcoVillage living model is still thriving in Lovettsville, Virginia. But the lifestyles envisioned by the U.N. aren’t native to American soil or at home with the American spirit. Americans have always loved their cars, the wide-open roads, mobility, their cities, and freedom and are not so much fond of village life. In order to search for the American dream, you had to be mobile. The walking and biking everywhere that Agenda 21/2030 dictated, five minutes from work, play, shopping, and school, is not exactly what Americans desired. They had to be indoctrinated into such a lifestyle. Look at the Chinese and their vast graveyards of bikes that the cities began to remove off the streets, when the fad of city bike-shares started to die off. From space, they look like fields of flowers but, in reality, they are fields of discarded, unclaimed, and unwanted bikes, most of them brand-new. In Ashburn, Virginia, the Willowsford community was planned on a “4,000-acre development containing four villages where farming, history, family, fine living connect with gorgeous single-family homes,” says a community brochure. Community living is a concept that the Willowsford founders created, to focus on healthy living and nature. As the brochure explained, “residents of Willowsford are able to choose their own fresh food, ‘farm-to-table’ style, and enjoy the produce grown right in their own neighborhood. The concept of sustainable community living is growing all over the country. Indeed, U.N. Agenda 2030 goals espouse sustainable community living. “In the months of May-November, Sundays are volunteer days for the community to help out on the farm fields.” It is hard to imagine wealthy Virginia bureaucrats, who could afford such expensive homes, farming for their food in a commune atmosphere more suited for communism. One of the most worrisome aspects of the U.N. Agenda 2030 is its attack on property rights. The tiny town of Bayou LaBatre, the seafood capital of Alabama, was about to be turned upside down by powerful NGOs who were there with grant money, with strings attached, to tell them how they should live. The quiet, happy, productive lives of the locals of 200-plus years were about to be fundamentally changed by the “visioning” of powerful environmental NGOs who knew better how private-property rights should be handled. The town’s future had been carefully “visioned” by powerful NGOs with rules and regulations that never existed before. Bayou LaBatre would have had restricted growth, destruction of property rights, and no choice for residents who would have been forbidden to rebuild in the event of severe property damage or total destruction in a flood, fire, or hurricane. With help from DeWeese’s organization, the townspeople were able to defeat the eco-tourism plan of the powerful NGOs. Local effort and education can successfully push back the U.N. Agenda 2030 goals.